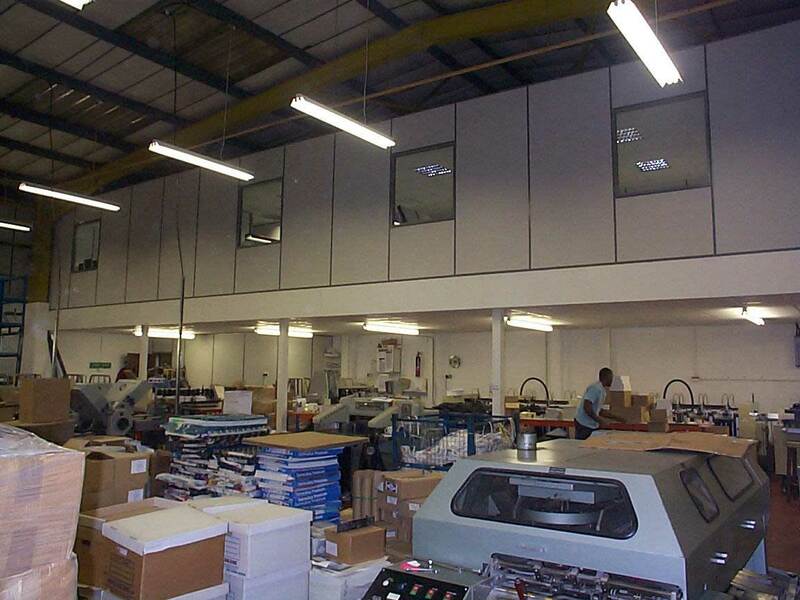 Rapidly expanding print business running out of space at their existing sites required significant extra office & welfare facilities and the relocation & consolidation of archive and spares storage at another depot. 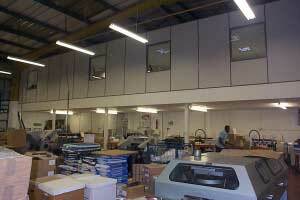 The factory and offices remained fully functional during all stages of the works and a phased handover of areas planned for weekends ensured minimal disruption to customer service & production. 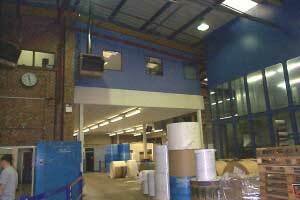 To maximise the headroom available at both locations, we supplied and installed a series of six mezzanine floors with elevated linking walkways totalling 1,050 m2 at one location and another of 120 m2 elsewhere. Two were designed for use as quality office space using solid, single- and double-glazed Maars Styleline fully demountable partitioning (some with integral blinds), suspended ceilings, fire protection, fire escapes, carpet tiles, electrics and heating. Another two were used as staff cloakrooms, changing facilities, a canteen and toilets. These were built primarily using the same materials as the offices, with the inclusion of some wooden Monoblock modular and double skin steel partitioning, lockers, cloakroom benches, canteen tables and chairs, and an external spiral staircase. 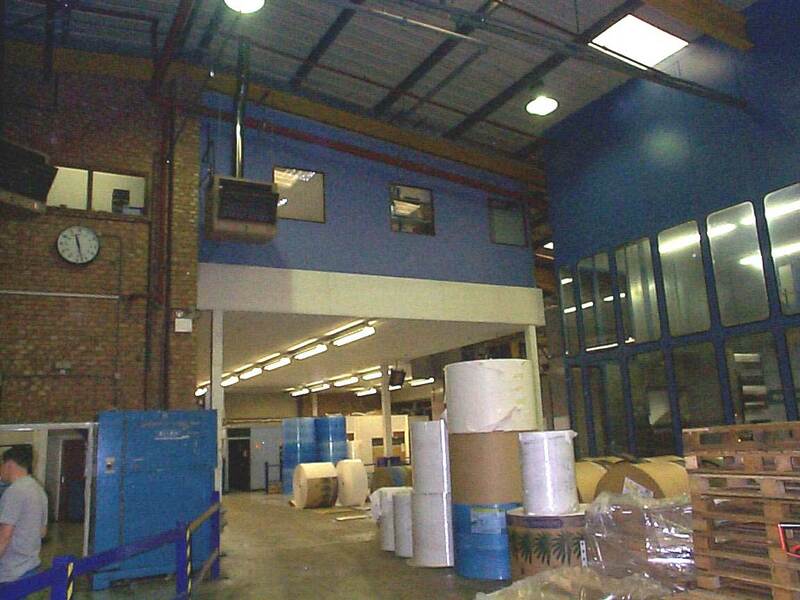 The remainder of the floors were used as working platforms and for storage, using a mixture of 100 linear metres of medium duty longspan racking, with chipboard decking, and 450 linear metres of British Standard Rolled Edge shelving with steel shelves, dividers and bin fronts. We were also responsible for the building works, external windows and the seeking of approval from the local authority all in compliance with the CDM regulations.